Plan an Ireland Golf Vacation on 5 World-Renowned Courses! Take an Ireland Golf Vacation: Boost Your Love Of Ireland By Visiting Her Majestic Courses! Experiencing an Ireland golf vacation is on the bucket lists of many of the world's most avid golfers. The Emerald Isle will test your game like nowhere else. After your round, you can join the locals in 'real' Irish pubs, or relive your exploits shot-by-shot with the other players in your travel party. And between rounds you can enjoy the Irish countryside, visit nearby castles, or tour some of the many other sights on the island of Ireland. 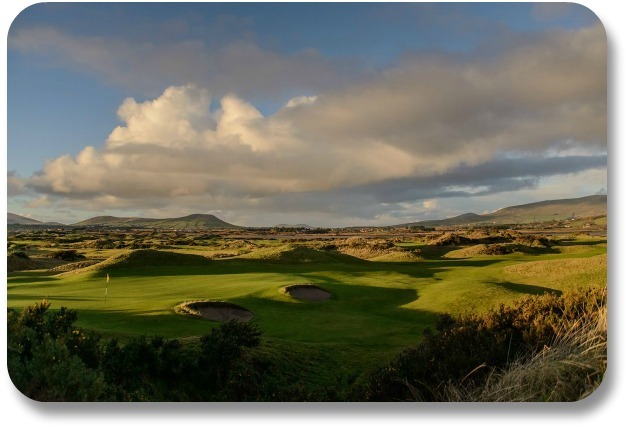 In this section we will share some of the great golf courses of Ireland, and a few ideas for building a golf-oriented vacation itinerary on the Emerald Isle. Have a look at five of our favorite golf courses in Ireland. If you like what you see, we invite you to investigate further by clicking on one of their images below. All images are owned by their respective golf clubs. Once you have a 'feel' for an Ireland golf vacation, tell us your plans! If you are fortunate enough to take such a vacation, please tell us your story! 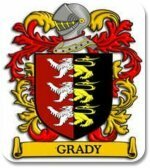 You'll have the opportunity to do that below. A Friendly Tip About Your Ireland Golf Vacation: Get Yourself Some Expert Advice! For many of us an Ireland golf vacation is a once-in-a-lifetime occasion. Make it the best it can be by working with a local expert to plan the trip best suited for YOU! 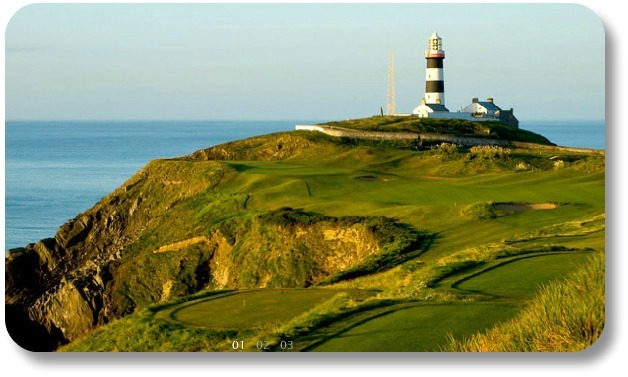 Our favorite local expert for golf vacation planning is Golf Vacations Ireland. Check out their website or give them a call. 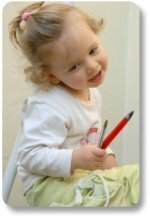 We don't receive any kind of commission for the referral - we just want you to know about them. They have treated us well and will do the same for you. Another Friendly Tip: Get Yourself a Caddy! Many of the great golf courses of Ireland might seem “short” to some golfers. For example, from the regular men’s tees, the Old Course at Ballybunion measures about 6,250 yards; from the tips it’s about 6,750 yards. That might not seem very challenging. Then again, when facing a 30 mile per hour headwind, a 550 yard par-5 you think is “short” will play much longer! For this reason and others, we recommend you hire a caddy if possible – and listen to his (or her) advice! Local knowledge is everything in Irish golf. This course comes with its own medieval castle, now renovated and converted into a luxury hotel. A must for any complete Ireland golf vacation. 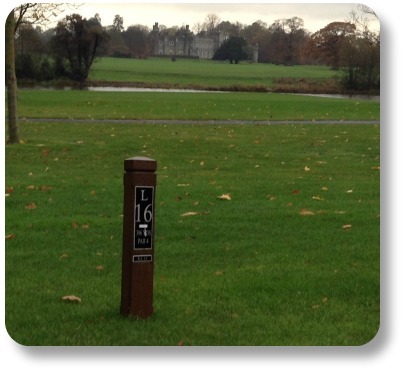 Most of the great golf courses of Ireland are classic links-style layouts, but Dromoland is a parkland layout set in woodlands with views of the Shannon River. 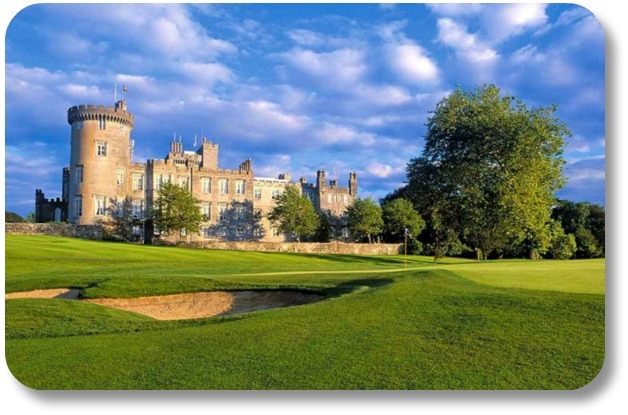 Dromoland will give you the opportunity to brag about staying in an Irish castle, and will be a high point of your Ireland golf vacation. 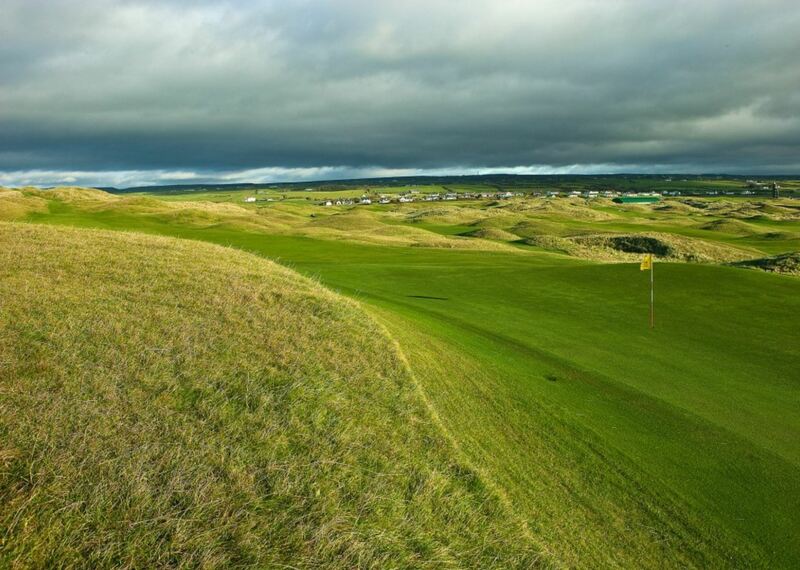 Lahinch is one of the “biggies” on just about every golfer’s list. More than 100 years old, the two links courses at Lahinch offer beautiful vistas of County Clare’s spectacular Atlantic coastline. The Old Course was originally designed by Old Tom Morris, but when Alistair Mackenzie got his fingers into the pie in the 1920s, it turned into an instant classic. Numerous holes can only be described as exceptional, and its routing uses the natural lay of the land to great advantage. The four finishing holes of the Old Course will either make or break your day. Bring plenty of balls, especially if the wind’s up. The Castle Course is not as widely-known and not quite as challenging as the Old Course, but it’s also less than half as expensive. Its bunkering and water hazards do, however, make it an “interesting” round, and another key part of your Ireland golf vacation. Some who have played Old Head say it puts Pebble Beach to shame. Others say it’s the greatest golf experience on the planet. Its shot values – not to mention the panoramic views – are simply unparalleled. Old Head is a bit pricey, but it’s absolutely magnificent. It sits on a narrow promontory jutting out almost two miles into the Atlantic and it’s almost completely surrounded by the ocean (the promontory is almost an island). Add the promontory’s dramatic cliffs rising hundreds of feet straight up from the water, and you have one of golf’s most remarkable settings anywhere. Nine holes play along the cliff tops, and every hole offers amazing ocean views. Bring your camera and a bunch of extra balls – the sea breezes can get intense. But this course will create some of the finest memories of your Ireland golf vacation. If you’re visiting the Ring of Kerry, spend a few hours on the links at Waterville, ranked #34 on Golf World’s list of the world’s top 100 courses, and likely to be one of the high points of your Ireland golf vacation. Many of the holes at Waterville are not only challenging, but unforgettable. One of the par-3s, called the “Mass Hole,” requires a carry over a valley that in the past was used by Catholics for celebrating Mass during periods of religious persecutions. According to legend, Waterville and the bordering Ballinskelligs Bay played important roles in Ireland’s history. An ancient book relates how Noah’s granddaughter landed at the bay and become the first-ever invader of Ireland. 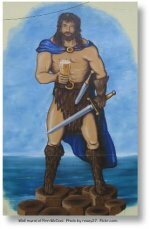 The area is also the site of other mythical invasions. But let’s get back to the important stuff. The quality of the course is indicated by the legendary names that have played the Waterville Golf Links. For example, Payne Stewart, Ernie Els, Jim Furyk, Mark O’Meara and Tiger Woods all prepared for the 1998 British Open by playing Waterville (and O’Meara won it). Another group of players practiced at Waterville before the 1999 British Open. The views are amazing, and the clubhouse might be the best on the entire island. Waterville is demanding, but it will reward you in many ways. We’ve saved what many people believe is the best of all Irish golf courses for last. 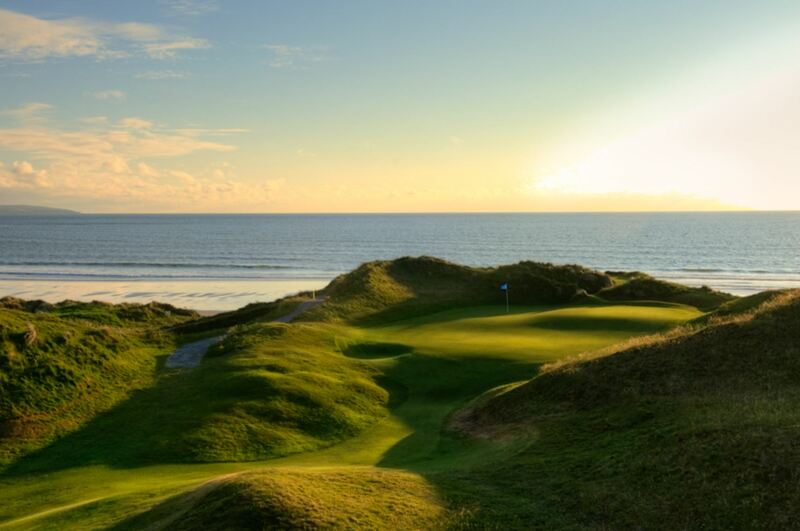 The Old Course at Ballybunion consistently ranks as one of the world’s greatest courses, and we have no doubt it will live up to its reputation on your Ireland golf vacation. Its massive sand dunes and views of the Atlantic Ocean provide a world-class backdrop to a world-class golf experience. The fairways are majestically contoured, the greens have subtle breaks, and the shot values are spectacular. When the wind comes up (and it usually is), it’s extremely challenging but also highly rewarding. The Cashen course at Ballybunion is, of course, overshadowed in stature by the Old Course. Nonetheless, Robert Trent Jones designed the Cashen to provide a premier, scenic golf experience. It has a wild, untamed feel that is unlike most other golf courses you might play.